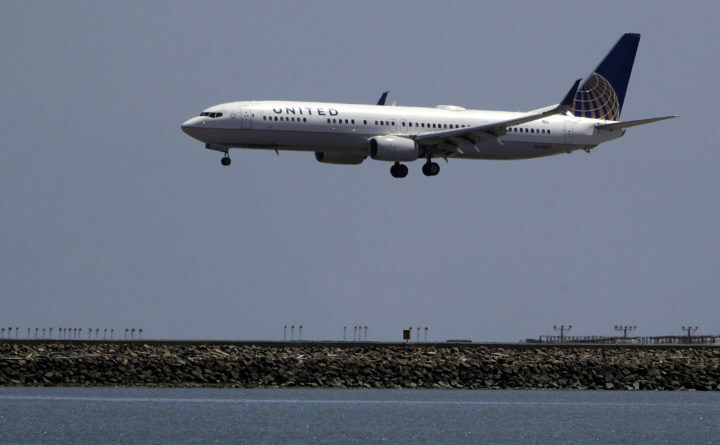 In this July 11, 2017, file photo, a United Airlines plane lands at San Francisco International Airport. United Airlines said it will “assume full responsibility” for the death of a 10-month-old puppy that appeared to have suffocated after it was placed inside an overhead compartment on a three-hour flight from Houston to New York City on Monday. The puppy whimpered through the beginning of the flight, but eventually quieted. In recent years, with increasing numbers of travelers wanting to bring their pets along, airlines have implemented special programs to accommodate the animals’ needs – and to assure owners that their pets will arrive at their destination healthy and comfortable. And United has leaned hardest into the pet transportation market. In 2017, the airline transported 138,178 animals – more than any other commercial air carrier, 27 percent of the total number of animals transported by all the major airlines in the U.S.
United says it’s special “PetSafe” facilities are intended to help safely transport animals that are not allowed to travel in the cabin of the aircraft with their owners. At some airports, dogs, cats, and other small and mid-size animals are carried to and from the plane in temperature-controlled vehicles, and the airline says it has veterinarians on staff to monitor the animals’ welfare as they wait to board. But that doesn’t mean that there are never tragic outcomes. According to a recent report issued by the Department of Transportation, last year there were 24 recorded incidents of an animal dying while being transported by a major U.S. air carrier.